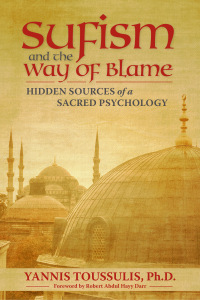 The following is excerpted from Sufism and the Way of Blame: The Hidden Sources of a Sacred Psychology, available from Quest Books. Yannis Toussulis discusses the Way of Blame in Sufism. This three-way discussion among Yannis Toussulis, Dr. Marc Applebaum, and Mehmet Selim Ozic Bey includes comments on the spiritual practice of hospitality. Mehmet Selim Bey: According to many Qur'anic verses, Islamic tradition is the continuation of the way of Abraham, Moses, Jesus, and Muhammad. Yet, people of other traditions, especially Judaism and Christianity, are mostly unaware of this idea. Even many Muslims believe that Islam is a separate tradition altogether, since they often don't read nor do they adequately understand the Qur'an. Even if one accepts the Qur'an as one's primary scriptural source, acknowledging the validity of other religious traditions is obligatory. All human beings are members of the same family, that of Adam. I believe that each of the world's established religions is a partial expression of essential Islam. Thus 'primordial religion' [din al-fitra] directly informs the heart of humanity as a whole. "Dr. Applebaum: Is this why you have insisted that the Sufi path be opened to people of all religious perspectives? "Mehmet Selim Bey: Yes. The Sufi path must be opened to people of all religious perspectives, and the insights of this path should be shared with mystics of all other traditions: Jews, Christians, Hindus, Buddhists, Taoists, etc. It is imperative that mystics of the world's religions come together in dialogue in order to share the particular gifts given to their respective traditions. The Qur'an tells us: 'O mankind! We created you from a single (pair) of a male and a female and made you into nations and tribes that ye may know each other (not that ye may despise each other). Verily the most honored of you in the sight of Allah is (he who is) the most righteous of you. And Allah has full knowledge and is well acquainted (with all things)' [49:13]. "Dr. Toussulis: From my understanding of your teaching, you don't use the term tolerance to mean a begrudging acceptance of others as different. You don't seem to mean that you merely accept others with tolerance until they eventually come around to accept your own particular rendering of the 'truth,' a common doctrine or belief. The only proviso that you seem to place on being open to dialogue is that each person needs to exhibit an attitude of mutual sincerity in seeking a truth that might lie beyond his or her present understanding. Is that true, and if so, can you expand on that? "Mehmet Selim Bey: As you know, there have been many attempts at interreligious dialogue in the past by various religious authorities. However, nothing much will be accomplished as long as such religious authorities attempt to prove that their particular religious traditions are superior to other traditions. In the process, the real meaning of dialogue will be forgotten; worse yet, it will often be subverted by purely political agendas. A real dialogue requires that all of its participants respect their mutual equality, and in the malamati Sufi path, this is considered essential. The original meaning of suhbat is intimate dialogue, spiritual conversation, and spiritual companionship. This is also the requisite of authentic interreligious dialogue." 1) Muhib (literally “lover,” one who is attracted to the tariqa). The commitment of the muhib is simply to be present for teaching and to pursue introductory practices with a modicum of diligence. 2) Talib (literally “candidate,” one who has achieved a cursory knowledge of the Path and is being prepared for actual admittance to a school. The goal of the aspirant must be to overcome the habits of the “commanding nafs,” the specific qualities of which include pride, enmity, cruelty, lust, and stinginess. The primary task of the candidate is to admit — and then to begin to correct — imperfections of character so as to fulfill introductory practices, become conversant with introductory concepts. and begin to adequately practice the aci1h (or “courtesies”) of the Path. 3) Murid (literlly “one guided”). a person who has been formally accepted into the school. one in whom the nafs is beginning to be controlled). The commitment of the murid is to progress beyond the stage of the “commanding nafs,” encounter and overcome the “blaming nafs.” The specific qualities of which include: blaming others, backbiting, trickery and conceitedness. 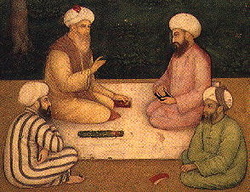 After taking formal initiation (bay’at haqiqa), the murid must form a strong internal bond (rabita) with the guide, follow the latter’s instructions diligently, soften and open the heart, undergo tests of loyalty, continue to question with utter politeness and sincerity, and (above all) fan the flame of inspiration or of ardent devotion (ishq) to God. 4) Dervish (literally “one who waits at the door” or “poor one,” one in whom the nafs has been considerably diminished). The commitment of the Dervish is to attain (and then surpass) the “inspired nafs,” the specific qualities of which include generosity, contentment, modesty, liberality, and gratitude. While the stabilization of these qualities is seen as positive, the dervishusually has not yet surpassed the condition of dualistic perception, and may succumb to bouts of inflation. 6) Rahbar is a wali who has been appointed to function as a “spiritual guide.” In addition to the traits already attributed to a wali, irshad includes: ilm, specific knowledge about the “sciences” of the Path as well as an extensive understanding of marifah or mystical experience. While a guide may function as a murshid, he/she may not yet have attained the level of the “purified nafs,’ the attributes of a mature murshid (see below). Beyond these degrees lies the function of the Murshid (literally “one who guides”). The attributes of the guide are many. They may include having fully traversed all the degrees of fana(anihilation) and baqa (subsistence).